The area around the Adler Planetarium by Lake Michigan is where one can enjoy one of the best, if not the best views of the Chicago skyline. 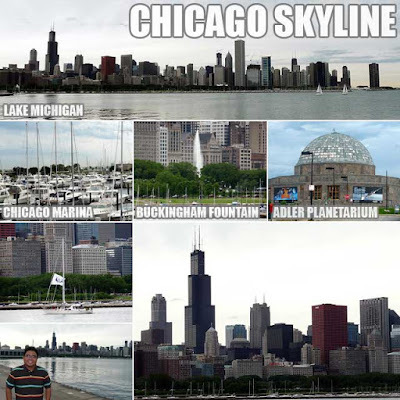 You could see most of the major skyscrapers from there including the Sears Tower, Aon Center, John Hancock Center, AT&T Corporate Center and Two Prudential Plaza among many others. It's a great place to chill, and I sure did enjoy the view.